The programme runs alongside Nema’s other education initiatives of building primary schools to give communities pride in educating their children and motivate the teachers and a sponsorship programme for secondary schools scholars for the good students to continue education to 12th grade, and for the successful few beyond into tertiary education. Nema have historically purchased ready-made corn-soya blend from a World Health Organisation factory in Mozambique. However, this year an alternative, grown in Cabo Delgado is about to be trialled. Purchasing locally grown soya and maize Nema will mix the blend in 2 trial schools to see how a local alternative compares. A successful conclusion to this trial will mean a more sustainable solution; in the short term buying locally is better for local producers and cheaper for Nema, in the long term if good food can be produced locally the ultimate aim is for the schools to produce their own food. Although the trial is only baby steps, it is baby steps in the right direction. Concurrently Nema will be buying CSB from the factory to ensure that all of the children still eat in schools every day, bringing together valuable messages about the importance of education, nutrition and health for a better future for these children. Nema provide all of the plates, cups, spoons and pots for the programme and in each village there are 2 volunteers ladies who cook and clean for the project. 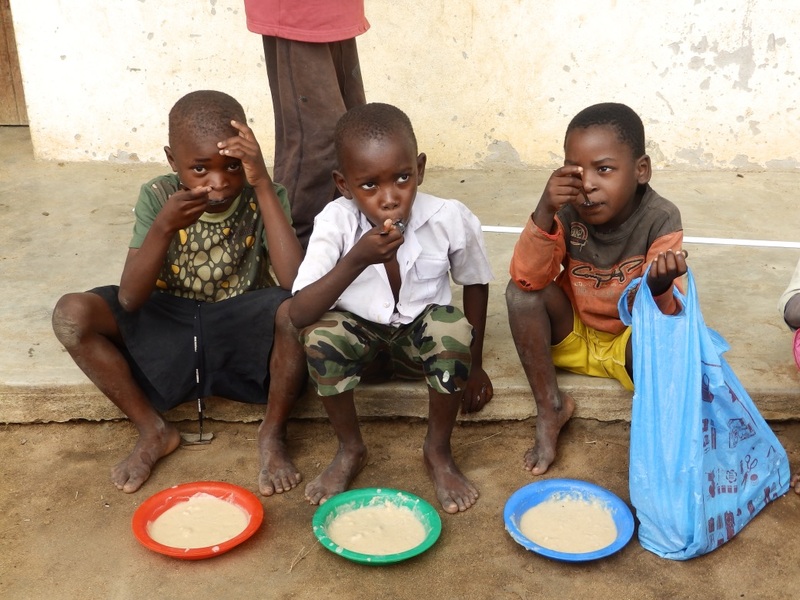 For each child per year the programme costs £30 for a full year of food and support, including transport for distribution and replenishing pots and pans, this is a low cost intervention with huge impact and real importance in these rural communities where school attendance is low and malnutrition is high. The programme schools have close to 100% attendance and the children are less stunted in their growth (a key indicator of malnutrition). For the cost of chicken in a basket and a beer in your local you could help lift a child out of poverty. If anyone has a little change in their pocket and feels that it could help us in this endeavour please donate through our website: http://www.nemafoundation.org/ or text NEMA to 70660 to donate £5. A huge thank you to everyone who has already donated – without you we wouldn’t have been able to do all the wonderful things we have accomplished so far in Mozambique. Lisa and the Nema team.